Who wants to go to camp? Quilt Camp! Quilt Camp is a holiday sewing retreat where you can get together with friends, relax, finish those last holiday gifts, and take classes from some of us Midwest bloggers! The retreat is scheduled December 7-9 (the 6th is an optional day). Quilt Camp will take place at the Hankerd Inn in Pleasant Lake, Michigan. We are going to have a blast! Isn't it cute? I will be teaching Foundation Piecing and we will make an 18" pillow/mini quilt (your choice!) which matches the Quilt Camp logo. 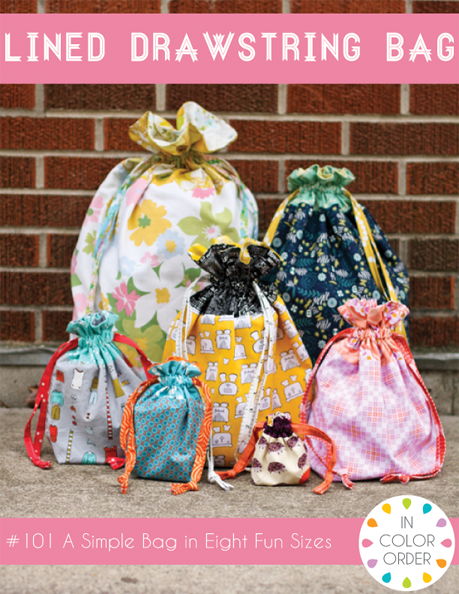 Jeni Baker of In Color Order will be teaching her awesome Drawstring Bag pattern in a variety of sizes (perfect for wrapping gifts!). 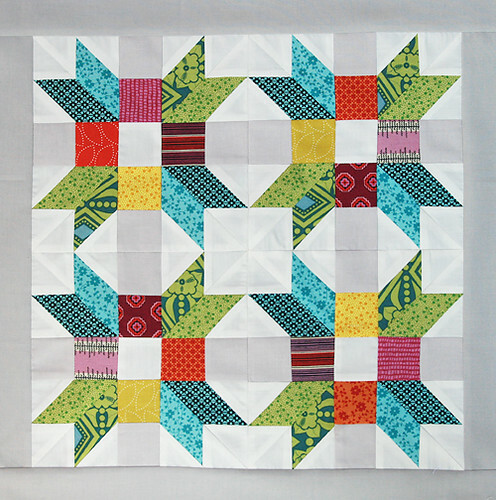 Heather Jones of Olive and Ollie will be teaching Improvisational Piecing. Brenda Ratliff of Pink Castle Fabrics and Just a Bit Frayed will be teaching English Paper Piecing, specifically how to make hexies and then applique them onto a surface such as a purse or tea towel. Pricing includes shared lodging (see the Information Page for details on rooms), brunch and dinner each day and ALL classes. They only thing you need to bring is your fabric, sewing machine and notions. We will provide you with project supply lists before December. There are only 32 spots so I encourage you to sign up quickly if you want to come. I hope to see you there!